TA95 cover features boys paying football in Idodi (on the border of Ruaha National Park), Matthew Syed, The Times. The full issue can be downloaded here. 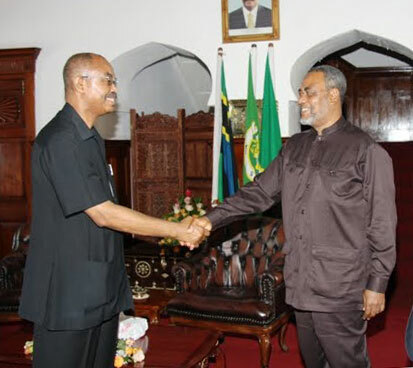 There was considerable excitement in Zanzibar on November 5 2009 when it was revealed that the Secretary General of the leading opposition party (the Civic United Front – CUF) Seif Shariff Hamad, whose party won all the elected posts in Pemba in the 2005 elections, had met for two hours President Amani Karume of the ruling Chama cha Mapinduzi (CCM) party, behind closed doors. It was the first visit Hamad had paid to Karume since he had refused to recognise him as the islands’ President after the controversial elections in 2005. A State House press release said that the two leaders had discussed various matters including the need to ‘maintain peace, tranquility, tolerance and cooperation among all people in the islands’. They also agreed on the need for ‘sustainable negotiations’ between them and their parties. Shortly afterwards, on November 7, Hamad had to face an angry crowd of his supporters at a rally in Unguja (the main island) when he revealed that his party now recognised the President. As thousands of people started shouting and milling around the podium, CUF Party (national) Chairman Professor Ibrahim Lipumba took to the podium and tried in vain to calm the crowd. Some of them were heard shouting: “You have betrayed us”. Lipumba said that the matter would next be discussed in party sittings so as to get members’ views. “If they think we betrayed them, we are prepared to be accountable. Maalim Seif (the name by which Hamad is best known in Zanzibar) has been committed to CUF ever since he left the CCM” Lipumba said. According to the Swahili press, which gave substantial coverage to the event, Lipumba pleaded with the crowd but eventually the rally had to be called off and the leaders were driven off through a narrow alley under tight security. Meanwhile, speculation continued as to whether the two leaders had agreed on anything else, particularly on the possibility of power sharing in government. It wasn’t until November 15 that President Karume finally commented, although the press wanted to know more than he gave them. He said that no eligible voter would be left out in the registration of voters for the 2010 elections. He made the remarks at a time when hundreds of CUF supporters in Pemba were claiming that they had been denied registration for the next elections because they did not hold residency identity cards. The President, who will not be seeking election again after two terms, added that “We want both the winners and losers to accept the results. This is possible only if the elections are free and fair.” In another development, the President said he would now appoint two CUF members to the House of Representatives in accordance with previous agreements. CUF Deputy Secretary General Juma Duni Haji told reporters that the talks between Seif Shariff Hamad and President Karume were held in secret so as to avoid ‘interference’ by people with ulterior motives. He said the previous ‘Muafaka’ (agreements) had failed, partly because they were sponsored by the donor community. Hamad said everything was now forgotten and forgiven. “Countries like Kenya and Zimbabwe resolved their differences with the help of outsiders but in Zanzibar that was not the case. It is better for locals themselves to resolve their problems with home-grown solutions. That is why, in our case, no white man supervised us.” – Nipashe. Then two Zanzibar government ministers spoke against the idea of a coalition government and power sharing. Deputy Chief Minister Ali Juma Shamhuna and Minister of State in the Prime Minister’s Office (Union Affairs) Mohammed Seif Khatib, differed with President Karume who had said that the issue of power sharing would have to be decided by the people. Minister Shamhuna said that Zanzibar did not need power sharing or a government of national unity. What was needed was for the parties to accept the election results. Minister Khatib told a rally in Pemba that national unity did not necessarily mean co-opting another party into the government. “CCM alone is capable of bringing about unity as that is its policy,” he declared – Mwananchi. After almost fifty successful years of leadership of Tanzania by the always united ruling Chama cha Mapinduzi (CCM) party, and with the next general election less than a year away, the party is no longer able to conceal the extent of its internal divisions which are being publicised in the media almost daily. Some observers recalled the late Mwalimu Nyerere’s view that CCM would never be removed from power by small opposition parties. A major change would only happen if the party were to split. The freedom with which the press and the people are now able to express themselves in Tanzania, particularly on the issue of corruption, has provided ammunition for those keen to see the end of what some consider to be a continuation of ‘one party’ government. The opposition parties never cease to attack the government on the corruption issue and, judging by recent by-election results, they are increasing in popularity in certain parts of the country. The seriousness of the situation for CCM was illustrated at acrimonious meetings of the party’s Central and Executive Committees in August last year when there were accusations that the leadership was trying to ‘gag’ its own MPs. Several of the more outspoken CCM MP’s warned the party on the dangers if vigorous action was not taken against the many leading figures in the country now being charged in court on corruption charges. Critical remarks by two former prime ministers, Joseph Warioba and Dr Salim Ahmed Salim, supported by Nyerere Foundation Director Joseph Butiku, seem to have exacerbated the situation. Opposition CHADEMA Secretary General, Wilbroad Slaa lauded the ex-premiers for having the ‘courage’ to speak out. CUF Chairman Lipumba said they had donned the mantle of Mwalimu Nyerere who was being sorely missed by the country – Mwananchi. At a rally in which some of the CCM MP’s, known as ‘crusaders against corruption’ said they had decided to hold joint rallies in their constituencies so as to educate the masses on the plot by ‘corrupt politicians’ to unseat them by pouring in ‘dirty money.’ They included Dr Harrison Mwakyembe (MP for Kyela) author of the highly critical report on the Richmond scandal – see below. They claimed their rivals in CCM were spending Shs 400 million in each constituency in efforts to defeat them at the next elections in 2010 – Tanzania Daima. In reaction, the party quickly took the decision to set up a committee of three ‘wise men’ to oversea the restoration of party unity and to fix the party’s growing image problem. Political analysts were quoted in the paper as saying that many incumbent CCM MPs were choosing to become vocal about corruption for fear of being regarded by their constituencies as being part of the problem. The paper went on: ‘The National Executive Committee meeting had been virtually dominated by a brazenly overt…. campaign from within, to unseat the incumbent Speaker of the National Assembly, Samwel Sitta, who had made clear his own strong aversion to the ‘grand corruption vice.’ Political observers were quoted as saying that if allowed to escalate, the fall-out from the meeting might eventually lead to a complete disintegration of CCM as the country’s most powerful political party. The media indicated that the tug-of-war seemed to be led by Speaker Samuel Sitta and prominent businessman Reginald Mengi from the reformist camp while Edward Lowassa and CCM Secretary General Yusuf Makamba lead the conservative side. Former President Mwinyi told TA that his three-man committee had encouraged the different groups to express their views freely to each other so that issues could be brought into the open. He intended to complete his report during the month of December. All is not well in the main opposition party on the mainland, CHADEMA. During a Central Committee meeting attended by some 600 delegates, prominent MP Zitto Kabwe, Deputy Secretary General, (who has much support among younger party members) and is clearly ambitious, was apparently dissuaded from trying to unseat Freeman Mbowe as Party Chairman, only by the intervention of party elders including the founder of the party, one time Finance Minister Edwin Mtei. According to numerous reports in the Swahili press, the elders knew that a tug-of-war for chairmanship between Kabwe and Mbowe would not be good for the party. Apparently, they suggested that Kabwe should instead be offered the post of Secretary General but he was said to have rejected the proposal outright, and proposed instead that both he and Mbowe should pull out and that present Secretary General Dr. Wilbroad Slaa should become chairman instead. Kabwe denied that the struggle was ideological, with him on the left and Mbowe on the right. In elections in September for CHADEMA young peoples’ and women’s groups differences continued between young and older members of the party and the elections had to be postponed until later. Slaa complained that these party elections had already cost Shs 50 million which was enough to build a dispensary. “Our party just can’t afford this kind of expenditure” he said. At the meeting, mother of Kabwe, Shida Salum, was quoted in virtually all the Swahili press, as standing up to defend her son, accusing some leaders of being corrupt. “I know Zitto. He is not on sale and can’t be bought,” she said. Veteran former leader Edwin Mtei was said to have pointed out that Zitto Kabwe was still young and so would be in a good position to vie for the party chairmanship in 2015 or 2020. When asked if he intended to run for the presidency in 2015 Kabwe said that by then he would still be below the statutory age of 40 required by the constitution. Another row erupted later when Dr Slaa terminated two party officials said to be close to Kabwe. Both then resigned from the party and one joined the small NCCR party. When contacted about all this, Party Chairman Mbowe admitted that the party had problems but said that other parties were ‘down with cancer’ while for CHADEMA it was just a normal hiccup – Rai. Tanzanian Affairs has been giving prominence in recent issues to reports on the various corruption cases which have been widely and frequently debated in Parliament, the media and elsewhere. In a historic first ‘question and answer session’ broadcast live on all major television and radio networks on September 9, President Kikwete answered many questions, from around the country, on corruption. “We have taken steps and, as we speak, there are 578 corruption cases in the courts” he said. He added that the number was only 58 in 2005 when he had assumed power. He brushed off claims that his government was harbouring people suspected of grand corruption within the government and the ruling CCM party. A few days later, the international Berlin-based anti-corruption watchdog ‘Transparency International (TI)’ released a report showing that Tanzania had dropped 24 places in the ‘Global Corruption Perception Index (CPI)’ from the 102nd position in 2008 to the 126th spot in 2009. The CUF Leader in Parliament, Hamad Rashid Mohammed, said the Judiciary did not act fast to clear pending corruption cases, while the Prevention and Combating of Corruption Bureau (PCCB) was dragging its feet in investigating allegations of grand corruption. Hamad told The Citizen that, although Parliament had been at the forefront in the fight against graft, many corruption scandals had been exposed but the Executive and Judiciary had so far done nothing. Another government critic said that many corruption suspects were being acquitted because of the PCCB’s ‘shoddy investigations’ and its failure to effectively prosecute those charged with corruption. The PCCB Public Relations Officer said she had not seen the TI report, but added that reports that Tanzania had fared better than other East African countries were ‘encouraging’. Rwanda had won accolades for wide-ranging steps to improve governance and gone up 14 positions to break into the top 100. Burundi, the worst performer in the region, was ranked 168th. Tanzania’s best ranking was 94 in 2007, when Parliament finally set up the PCCB. The investigative newspaper ‘This Day’ revealed in October that, in addition to all the other irregularities, the controversial Richmond Development Company (which had later become Dowans Holdings), had tried to obtain more than $115 million from the government in 2006 for capacity and energy charges, under the later badly discredited emergency power supply contract it had signed. But, according to the paper, this represented a hefty profit as it had only spent $30m to install the planned 100-megawatt power plant in Dar es Salaam. According to government sources quoted by the paper, Richmond/Dowans was subsequently paid more than $42m. The government had also paid $4,865 (approx. Shs 6bn/-) for airlifting some of the power generators, consumables, and other accessories from the United States. But, apparently, what the company brought in was only 20MW of power generating sets – one fifth of what was needed under the contract. This however, still represented a hefty profit for Richmond, considering that the company spent just $30 million to install the plant in Dar es Salaam. Dowans Holdings apparently bought the remaining power generators from South Africa. But a government technical team sent to Cape Town in December 2006 to assess the trailer-mounted turbines, was said to have discovered that some of the equipment was rusty. The formal termination of the contract between Richmond/Dowans and the government in 2009 paved the way for certain persons to set in motion yet another plan to obtain $69 million by selling the power generators to the government. It was only the fierce opposition to the proposal mounted by the parliamentary Energy and Minerals Committee and others, that blocked this from going ahead. Towards the end of last year, while some MP’s were becoming increasingly restive as they waited to hear the government’s reactions to the numerous recommendations in the parliamentary report dated February 2007, the government announced that it intended to resurrect the company, as electricity supplies were again proving inadequate – The Guardian. In October 2009, according to the Guardian, there was some surprise, amid escalating power rationing, that the government’s call for tenders for new emergency power generating plants failed to attract any competent bidders. Eventually President Kikwete directed the appropriate ministers to take over the plant, which had been idle for several years, from its liquidators, to ease the crippling shortage of electricity. Standard Chartered Bank (Hong Kong) then told the High Court that this decision was contrary to a court order that had placed the company under receivership and asked the court to halt the move as it would be unfair. The case was adjourned – Mwananchi. During November the plant finally began producing electricity. 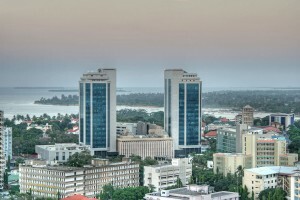 There are four cases of alleged corruption involving the Bank of Tanzania. shoot up from $73 million to $357 million. The project involved building a 14 storey north tower at a cost of US$ 26 million and a south tower at US$ 29 miliion. As expected, he lost his job and faced attacks from the Bank through a press release questioning his integrity as an engineer. The person concerned was reported now to consider himself lucky, because if he had approved the project, he would be spending his days and nights at the Keko Maximum Prison with his former boss Amatus Liyumba.’ He was transferred to Mwanza, where he spent two years more or less aimlessly. “They wanted to keep me away from HQ” he was quoted saying. “I feel so bad for being paid for doing nothing” he added. He was reported to be living happily in the outskirts of Dar es Salaam where he was running a construction firm to get by. “I would have made millions” he said. The Citizen reported in September that four senior employees of the Bank had been charged over the loss of Shs 104 billion, in yet another scandal involving the inflation of the cost of printing new bank notes. The fourth scandal concerns the siphoning off, by some 22 companies, of Shs 133 billion through the Bank’s EPA account which has been described in detail in earlier issues of TA. In this case, former senior cabinet ministers Basil Mramba and Daniel Yona (plus two other senior officials) have been charged with abuse of office that caused the Government a loss of over Shs 221 billion after granting tax waivers to a gold auditing firm, Alex Stewart (Assayers). The controversial assignment saw the company take $50 million in fees which sparked off a public outcry. Seventeen witnesses were being called to testify against the former ministers but the defence refused to reveal the names of their witnesses. The magistrates accepted this before the case was adjourned – Guardian. The prosecution said, during the preliminary hearing, that Mramba signed government notices exempting the corporation from taxes in disregard of advice given by the Tanzania Revenue Authority (TRA) and had prepared an agreement between the company and the BoT which was amended without Attorney General and cabinet approval. Attention in the Radar case has switched to the UK where the Senior Fraud Office (SFO) has completed its enquiries and is asking the Attorney General to proceed with the prosecution of BAE which supplied the equipment. The Times of London wrote that if BAE would agree to pay up to £500 million (Tanzania is not the only country in which the company is accused of paying bribes) in a ‘plea bargain’ the problem could be resolved. But BAE felt that any admission of guilt would be unacceptable as it would undermine its huge markets in the USA and other countries. The paper said, that faced with the SFO’s ultimatum, it had decided to call the SFO’s bluff. It indicated that if the figure (for the Tanzania case) was in the range of £10-20 billion and that BAE would not be tainted with corruption and instead face lesser charges, negotiations might be renewed. However, the article went on to say that in dealing with Prime Minister Gordon Brown (and not Tony Blair) BAE would be likely to be rebuffed. Progress in the investigations in Tanzania has been going slowly – the Director General of the PCCB was said to be waiting for the final report from the SFO in the UK. The key individuals being investigated by the PCCB include former Attorney General Andrew Chenge, former Bank of Tanzania Governor Idris Rashid, and prominent businessmen Tanil Somaia and Shailesh Vithlani. The local and foreign investigations forced Chenge to resign from the cabinet last year – Guardian. As in Britain, allowances provided for MP’s, have become a cause of discord in Tanzania. Some MP’s are being accused of taking double payments from meetings they attend – Nipashe. The opposition has said that the whole system is rotten and the PCCB has set in motion a number of investigations. It has been alleged that some corporations and government institutions have been paying Shs 200,000 daily to MP’s who also get parliamentary day allowances. House Speaker Samuel Sitta and others have been quoted in the Swahili press as justifying the allowances as ‘traditional Tanzanian hospitality’ and that the PCCB should not be investigating MP’s without consulting him. 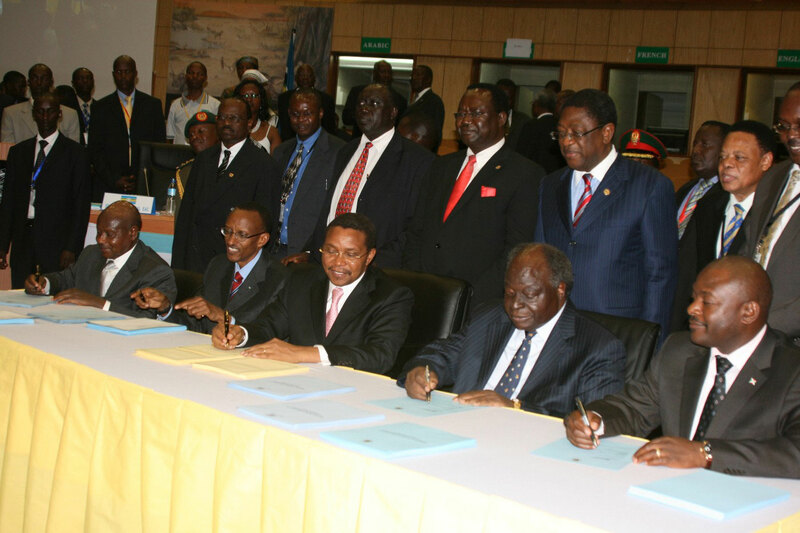 East African Community (EAC) leaders formally agreed on November 20 to allow free trade, movement of people and right of residence in the region, with the signing of the protocol establishing a common market. This followed protracted negotiations between the five member states. All promised to arrange for ratification without delay. President Museveni of Uganda underlined the new found spirit of integration by inviting the other EAC members to become partners with Uganda in drilling for the oil that had been discovered there recently. In recent months, an avalanche of circulars released by various faith-based organisations, ahead of the 2010 general elections, has descended on Tanzanians. The process was set in motion by the Roman Catholic Church whose circular counsels individuals to vote wisely and bravely and to reject ‘corrupt power mongers’. The circular ignited a heated debate, with some ruling party leaders strongly attacking the move, alleging that it was endangering the nation’s unity and that the Church was ‘diverting from its core mission of preaching the word of God and instead playing politics.’ The leader of the Catholic Church told critics not to teach church leaders how to perform their duties, and pointed out that the document was a civic education initiative to guide voters on exercising their electoral rights responsibly. The Government advised Muslim leaders against issuing a document similar to the controversial Catholic booklet so as to create disharmony in the country. But they went ahead and launched their 45-page document called ‘Mwongozo’ at a rally attended by thousands at the Mnazi Mmoja grounds in Dar es Salaam. They that it was ‘intended to guide followers on important social and political issues ahead of the elections’ It traces the role played by Muslims in the struggle against British colonialism and describes what it perceives as discrimination against Muslims in the post-Independence period. Muslims are now asked to vote for leaders who are going to ‘defend their rights’ (from Habari Leo and many other papers). President Kikwete said his entire government was unhappy with the religious manifestos. “We would not like to go into the elections next year with people voting by following instructions from their clerics,” he said. Muslims in Morogoro took to the streets in Morogoro uprooting billboards and posters promoting disco and musical programmes for the Idd festival. They told reporters that they objected to Muslim festivals being used to promote ‘forbidden practices’. One said “For us Idd entails prayers and not debauchery” – Majira. Half of MP’s to lose their seats? On September 11 an opinion poll carried out on behalf of Mwananchi Communications showed that, if a snap election were held then, some 132 out of the 232 elected MPs would be found ‘not acceptable to the public’. Altogether there are 319 MPs in Parliament – Mwananchi. Responding to growing public pressure for the Government to clear the way for individuals interested in running for office in forthcoming elections as independents, Justice and Constitutional Affairs Minister Mathias Chikawe was quoted in The Citizen as saying that the Government was not opposed to the idea. It had appealed against a High Court ruling in favour of the recognition of the right of independent candidates. ”We have only gone to High Court to protect the Constitution……..If the court is allowed to force amendments in parts of the Constitution, who will stop it from calling for a repeal of the whole Constitution?” he asked. The Minister said the matter should be left to the Court of Appeal to rule. Tanzania conducted nationwide elections for local councils in October but it has proved difficult for TA to obtain the detailed results. CCM claimed that it had won 98% of the seats. Turnout was generally poor. In Dar es Salaam region only 26% of the eligible voters registered. CCM took 402 seats out of 446 in Dar, and in Morogoro 259 out of 274. But in the CHADEMA stronghold of Kigoma the opposition got 35 out of 68. Establishment of a new electoral register in the CUF stronghold of Pemba resulted in serious trouble after it was decided by the government that only those holding Zanzibar identity documents could register. CUF complained that thousands of people had been refused ID’s. The ID Directors office was raided by a huge crowd of protesting people but the Director insisted that his office had exceeded its target for registering people and that more people than expected had been given ID cards. Several people set on fire several houses in Wete district, mainly the property of CUF supporters. Scores of residents could be heard chanting pro-democracy slogans. Police arrested a number of people and took them away for questioning. Seven people were arrested in different locations in Unguja, when they refused to obey police orders requiring them to disperse after being denied registration because they had no residents’ IDs. On September 18 CUF called for an investigation but this was turned down by the government which maintained that such action would slow down preparations for the elections. The Minister of State in the Chief Minister’s Office was quoted as saying that the government was not prepared to bow to CUF demands, taking into consideration that the majority of people did have IDs. Following continued scuffles between people and the Police registration was suspended in mid-September. The Chairman of the Zanzibar Electoral Commission (ZEC) said the trouble was costing the ZEC millions. The Director of the Zanzibar ID Department said those who claimed to have been denied the ID were liars. He said: “CUF is telling its members to hide their IDs and then complain.” CUF head of publicity, Salum Bimani said this was a plot by CCM and government to deny CUF members their voting rights – Habari Leo and most other papers. On September 28 CUF urged the ZEC to suspend the registration. The letter, copied to the UNDP, said CUF was withdrawing and “would not be responsible for any outcome.” The spokesperson for the ZEC said that, while registration was stalling in Pemba, ZEC had fulfilled its target in Unguja by 90 percent. He said the poor turnout in Pemba was due to the CUF boycott’ – Mwananchi. Many Albino girls are living in fear founded on personal experience. Early in 2009, an Albino called Eunice was brutally murdered when men broke into her home and hacked off her legs with machetes. Now, US Professor, Murray Brilliant, has stepped in to help the girls. Through his research, he believes the albinism gene could be developed to fight leprosy. ‘This may help to change social perceptions about people with albinism in Tanzania,’ he says, ‘as they provide a benefit to the health of the people.’ Meanwhile, he aims to move the girls affected to the safety of a special school in the north of the country. Thank you Abubakar Faraji for sending this – Editor. ‘While celebrated tourist resorts and blue-chip mining and logging companies dot their land, the Maasai, Batwa, Bagyeli and Baka people of the Rift Valley in East Africa and the Congo Basin remain extremely poor . . .’These are two geographic wonders, between them including Kenya, Uganda, Tanzania, Rwanda, Burundi, DRCongo, Central African Republic . . . and Cameroon. The two geographical marvels are peopled by two indigenous ethnic groups that have occupied those lands for thousands of years. The Maasai pastoralists found in Kenya and Tanzania, and the Batwa and Bagyeli people – otherwise referred to disdainfully as the “Pygmies” – found in Uganda, Rwanda, Burundi, DRC, Cameroon, Gabon, Congo Brazzaville and parts of Central African Republic . . . ‘Multinationals, governments, local politicians, Bretton Woods institutions, international conservation agencies (WWF, IUCN) and other conglomerates exploit forest resources through mining, logging, cordoning off exclusive conservation areas, and re-settling indigenous people in village communities . . . making them depend on unfamiliar economic systems hostile to their survival. Ian Birrell’s Comment mentions the landmark case in which the British construction company Mabey & Johnson was convicted at Southwark Crown Court in London on 25 September 2009, after pleading guilty to charges of bribing government officials in five countries in order to gain contracts. Led by the British Serious Fraud Office (SFO), this is ‘the first prosecution of a major company for overseas bribery.’ Accusations of corruption have often been levelled at Africans, but what is becoming increasingly clear is the involvement of Western companies and their governments in what is often labelled as “African corruption”. According to Birrell, former British Prime Minister ‘Tony Blair swept into power promising an ethical foreign policy, with ratification of the Organisation for Economic Co-operation and Development’s landmark anti-bribery convention and promises of new anti-corruption legislation. It was never acted on, despite repeated promises. Instead . . . Blair gave in to threats from Saudi despots and ordered the SFO to call off its inquiry into BAE bribery allegations just as investigators were about to access Swiss bank accounts…..’The BAE case [in reference to Mabey & Johnson’s] is on a much bigger scale. And what made the Tanzanian element so depressing was that it was so brazen. The World Bank condemned the idea of one of the world’s poorest nations borrowing millions to buy a radar system. The International Civil Aviation Authority said that it was not needed. The development minister, Clare Short, said that the deal “stank” – but bizarrely, Blair waved it through. ‘Private companies are estimated to spend more than £20bn a year on bribes to politicians and officials in developing nations. This sum is nearly twice the size of the entire Tanzanian economy and makes a mockery of our aid efforts.’ Thank you Rev’d Canon David M. Main for this item – Editor. The East African Magazine published a feature on the historical sites of Bagamoyo, in the run up to the fifth international African Diaspora Heritage Trail hosted by the country in October 2009. Bagamoyo was one of the last stops on mainland Tanzania for enslaved Africans before being shipped to the slave market in Zanzibar. In 2001, the electorate approved a new decentralized constitution which incorporated proposals made by the OAU and later the AU. ‘The official name of the country was changed to the Union of the Comoros. . . . It was agreed that each island would have its own president and parliament, and a rotating system was introduced whereby each island in turn had the right to nominate the presidential candidates for the Union election. ‘. . . Symptomatic of the issues left unresolved by the 2001 constitution was the continued political unrest in Nzwani. The island’s president, Mohamed Bacar, appeared intent on personal rule ever since his seizure of power in 2001 and was increasingly un-cooperative with the Union . . .The AU and others tried to resolve the crisis by dialogue and then by sanctions and a naval blockade, but all to no avail. Finally, a Tanzanian led joint Comorian-AU force took the island without bloodshed in March 2008 and Bacar fled to Maoré.’. . . There were already 230 Tanzanian troops bivouacked on Mwali as part of the AU Electoral and Security Assistance Mission (MAES). ‘. . . Despite Bacar’s hunch that France would not become directly involved, Paris agreed to transport the Tanzanian troops to Mwali but chose not to provide support for the landings on Nzwani. Final AU troop numbers camped on Mwali amounted to 450 Tanzanians and 350 Sudanese. . . . Two Tanzanian soldiers drowned during the landings. …..’Now the enhanced aesthetics of Forodhani Park [situated between Stone Town and the Indian Ocean] will boost tourism, Zanzibar’s economy. . . . As part of its multi-sectoral programme that involves health, education and culture, the Trust will spend $40-50,000 annually to maintain the park. ‘It was once thought to be the most valuable jewel of its kind in the world,’ writes Chris Green (The Independent), ‘an enormous uncut ruby worth £11m with a history so murky that one of its former owners declared it to be cursed’ [TA No. 94]. Extract continues: ‘[T]he so-called “Gem of Tanzania”,’ according to Hatton Garden jewel dealer Marcus McCallum, ‘has been revealed to be little more than an expensive paperweight. The 2.1kg (4.6lb) rock is now believed to be a large lump of anyolite, a low-grade form of ruby, with a value of just £100. . .’ The Independent’s editorial section sums up by saying: ‘What better emblem could we have for these turbulent times than an asset that can go from almost priceless to worthless overnight?’ – Thanks to Rev’d Canon David M. Main, a new reader of TA, and David Leishman for these items. Extract: ‘ Eight Maasai villages in the Loliondo region of Tanzania have been burnt to the ground, leaving 3,000 people without food, water or shelter. ‘. . . [OBC] is reportedly linked with the United Arab Emirates royal families and has held exclusive safari and hunting rights in Loliondo, northern Tanzania since 1992. . . 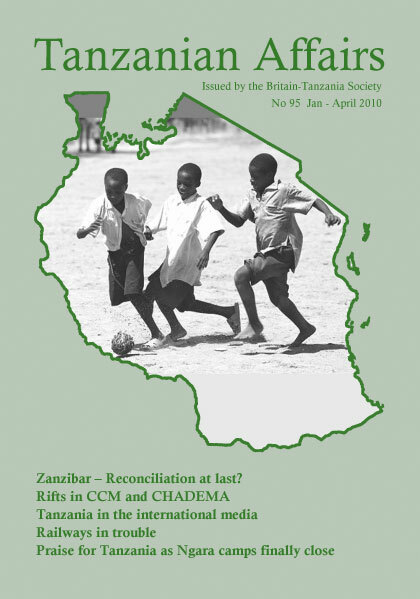 In 2007, the Hadza [community] narrowly escaped eviction from part of their ancestral land following Tanzania UAE Safari Ltd’s withdrawal from its hunting concession in the Yaida Valley after pressure from Hadza, indigenous organisations and Survival.’ Also see ‘Ancestral land-grab’ in this issue – Editor. The article continues by giving a brief history of the development of Tanzania’s party political process, and then says, ‘After more than a generation of single-party politics, president Ali Hassan Mwinyi (1985-95) established the Justice Nyalali Commission in February 1991. It found that only 20 per cent of Tanzanians polled wanted multipartyism. Nonetheless, the government legislated single-party politics out of existence in 1992. ‘. . . [M]ulti-partyism has not succeeded. It has resulted in continued and suffocating single-party dictatorship and unnecessary socio-economic strife, albeit low-key. In the event, the same old party has dominated and dictated political, social and economic matters since Independence.’ In 1995 CCM won 59% of the votes cast. In 2000 this rose to 66%, and in 2005 CCM won 70% of the votes cast. While [in command of HMS] Owen off East Africa and the Seychelles, he participated in the International Indian Ocean Expedition, which provided evidence for the theory of continental drift and tectonic plates. In January 1964 Owen rescued 180 women and children from the bloody Zanzibar Revolt in which thousands of Arabs and Indians were killed. For this Haslam was appointed OBE.’ Thank you John Sankey for this item – Editor. ‘Tanzania has finally recognised the heroes of the Second World War for their service, half a century after that great conflict ended. The move makes Tanzania the first East African Community state to register, recognise and honour the veteran soldiers who fought in the colonial forces in many parts of Africa, Asia and Europe. . ‘[T]he government has decided to take over the responsibility for the veterans and to find a way to make their lives better, but they did not say how much money has been set aside . . . for the exercise. . .’ Those whose names will appear on the register include ‘members of the King’s African Rifles and the 6th (Tanganyika Territory) Battalion. . . This item, published by the Irish charity Bóthar, is about assisting the building of a sustainable community animal health service in North East Tanzania. ‘The privatisation of parts of the Agricultural sector in Tanzania has led to the near collapse of veterinary practice in rural areas, especially where the poverty of the farmers means low pay for any prospective vet in the area . . . [which] has led to an overall increase in disease and decline in the productivity of the animals in rural areas. . . . The aim of this project is to reverse that trend and build an affordable and self sustaining basic animal health service managed by the rural communities themselves. Currently, 90 community members are being trained in basic animal health to serve 100 villages in Tanzania’s north east region. Thank you Ann Moriyama for this item. Ann would be interested to know if anyone else has heard of this initiative? – Editor. Help The Aged magazine (Autumn 2009) ran an appeal to ‘help save women branded as witches’. According to a featured article updating readers on the organisation’s current project: ‘When anything goes wrong in remote villages in Tanzania, the older women in the community are terrified. Local people often hold them responsible for outbreaks of sickness, deaths or just bad harvest. Even their red eyes – caused by a lifetime of cooking over smoky wood fires – can be enough to brand them as witches.’ Thank you Wendy Ellis for this item – Editor. The 25-year $31 million contract agreement signed in 2007 between the government and Rail India Technical and Economic Services Ltd (Rites) under which Rites took over the majority 51% share of Tanzania Railways and agreed to manage it, has gone sour. Details of earlier developments were given in TA No 94. Apparently, according to the East African, in an effort to improve railway services, TRL hired 23 passenger coaches from Rites. Inspectors from Tanzania visited the firm in India which was manufacturing them in 2008 and recommended changes. The coaches arrived in Tanzania in September 2008 and, after testing and further modifications, they started operating in January 2009. Unfortunately, in March, a passenger train collided with a goods train near Gulwe station. After an inspection, the government recommended that the coaches be suspended from operations pending an in-depth investigation. TRL stopped using the coaches on September 10. In mid October the workers laid down their tools for eight hours because they claimed that the coaches ‘didn’t deserve to be used for carrying passengers and therefore there was no need to inspect them again.’ The Guardian then reported that Rites had issued a 60-day ultimatum to the government stating that, if it did not pay some $30 million for hiring the locomotives, Rites would leave the country. Addressing TRL workers in mid-November Minister of Infrastructure Dr Shukuru Kawambwa said the government, though unhappy with TRL, could not immediately terminate the contract for fear of plunging the country into a deeper crisis and it could be taken to The Hague. 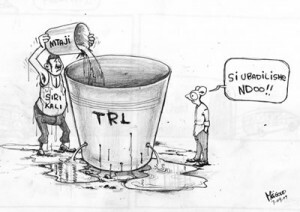 The Minister said that the government had been using taxpayer’s money to pay salaries for TRL workers since March 2008, hoping that once the business picked up, the company would run on its own, but that had not been the case. Meanwhile a promised loan of $44 million from the World Bank for TRL to undertake a massive rehabilitation of the railway system including the supply of 90 locomotives 1, 280 freight wagons and 110 passenger coaches was being held up. According to Tanzania Daima, President Kikwete spent some time discussing the 60-day notice given to the government and then instructed the Minister to make a decision. As this issue of TA went to press in December the Guardian reported that the Central Line had been paralyzed after workers downed tools over delay in paying salaries. A group of them stormed the company’s headquarters in an attempt to force the foreign and other senior management staff out of their offices, but the police stopped them. Tanzania has been rated the 93rd freest economy in the world with an ‘Economic Freedom Index’ placing of 58.3 out of 100 – 1.8 points higher than in the previous year. The economy registered improved scores in six of the ten economic freedoms tracked in terms of the Index. Tanzania is ranked 11th out of 46 countries in sub-Saharan Africa, and the third out of the four East African Community members ranked. Globally, Hong Kong is leading with an index of 90.0. Zimbabwe and North Korea are the ‘at the bottom. 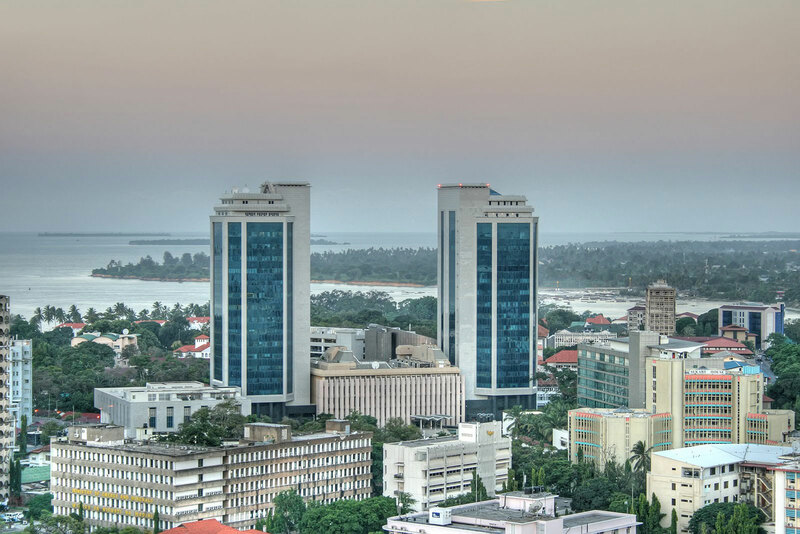 The report on the Index says: ‘Tanzania scores above the world average in fiscal freedom, investment freedom, and government size,’ reads the Report. Foreign and domestic investors receive equal treatment, although poor infrastructure, government control and corruption remain deterrents. Government spending is moderate, and tax administration has been centralized and modernized.” As in many other sub-Saharan nations, the Judiciary is underdeveloped and subject to the political whims of the Executive. Corruption is a pervasive problem throughout Government – despite feeble attempts at reform over the past decade. The overall freedom to conduct business is seriously limited by Tanzania’s regulatory environment. However, starting a business has improved somewhat, taking an average of 29 days, compared to the world average of 38 days. Obtaining a business license takes more than the world average of 18 procedures and 225 days… costs are high. Bankruptcy proceedings are fairly straightforward – but still lengthy. Tanzania’s weighted average tariff rate was 7.2 per cent in 2006. Adding to the cost of doing business is motley of negatives that include import and export restrictions; taxes and fees; registration and licensing processes; prohibitive tariffs; inefficient/slow customs implementation, and weak enforcement of intellectual property rights. Ten points were deducted from Tanzania’s trade freedom score to account for non-tariff barriers. Tanzania has moderate tax rates. Both the top income tax rate and the top corporate tax rate are 30 per cent. Other taxes include a value-added tax (VAT), a property tax, and an excise tax on petroleum products. Finance and Economic Affairs Minister, Mustafa Mkulo has expressed dismay at the World Bank disclosure of classified information about Tanzania in a public statement. The government reaction was conveyed in a Bank statement which said Tanzania was not doing enough to stamp out grand-corruption, among other things. Mkulo told ‘The Guardian’ in an interview that traditionally, such comments “are not expected to be made in public” because that was not a proper way of disclosing information or making comments. The Minister was specifically referring to information furnished by the World Bank regarding a slight drop of 0.1 per cent by the government on Public Management and Institutions, being one of the specified four rating categories before a country qualified for a soft loan. However, the World Bank insisted that the decision to make the report public was a shift in policy, aimed at eliminating unnecessary secrecy when dealing with financial communications with various beneficiaries. ‘A sound open policy on the disclosure of information was fundamental to the fulfillment of many roles. “Our intention is to strike the right balance between maximum disclosure and our legitimate concerns to protect certain types of confidential information,” the World Bank information spokesman said. “This new approach is consistent with our business model, which recognizes that transparency is critical for enhancing governance, accountability, and development effectiveness,” he insisted. Minister Mkulo said Tanzania was ranked 4th in the evaluation which covered 34 different countries in Sub Saharan Africa, after scoring above average, equivalent to 3.8 points in a scale of one to six points. Tanzania scored 4.3 points in Economic Management; 3.8 points in Structural Policies; and, 3.7 points on Policies for Social Inclusion/Equity and Public Management and Institutions. The ranking places heavy emphasis on public finance management and reforms – the Guardian. The Ibrahim Index attempts to rate the quality of governance of African countries using statistics on 84 criteria arranged in four categories; Safety and Rule of Law; Participation and Human Rights; Sustainable Economic Opportunity; and Human Development. In the latest ranking, Tanzania has improved by two points to 59.2, and continues to outrank its neighbours – Zambia (55.3), Kenya (53.7) and Uganda (53.6). It is well ahead of Zimbabwe (31.2) and Nigeria (46.5) but still some way behind South Africa (69.4) and Botswana (73.6). The Mo Ibrahim Foundation held a celebration in Dar-es-Salaam in November to celebrate Africa and promote good governance, including performances from Angelique Kidjo and Youssou N’Dour.